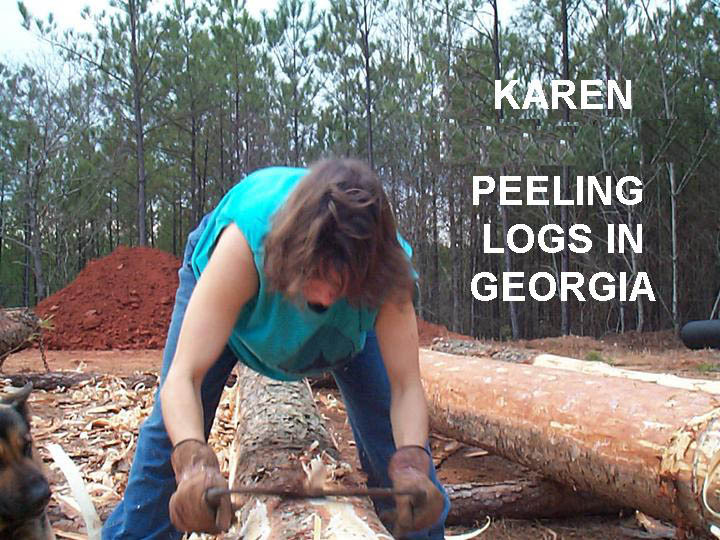 A few years ago we had a call from a woman named Karen in Georgia wanting us to quote on a log home plan. She explained that she and her husband had decided they would build their dream log home themselves with all of the timber they had on their large tract of land. They began harvesting the timber and hand peeling it all themselves. Her husband had found a video on how to scribe and notch the logs and he studied it carefully. They began building the large home one log at a time and, after many months, had gotten only a few rounds up in one section of the home when they began to run into problems. Their logs all had various degrees of taper to them and the grain wasn’t always straight. They just weren’t fitting together very well and they realized they had a long way to go before they got to the roof components. At this stage, because of all the hard work they had already put in, they weren’t too keen on the idea of giving up but Karen was curious to see what we would charge to do all of this hard labour for them. These people are two of the hardest working people we’ve met and their building knowledge is great. Although they both had full time jobs and toddlers, they still wanted to do most of the work on the home themselves. They realized that it would be far better to have us handcraft their log shell and then they could carry on with all the finishing themselves…which is still a lot of work. 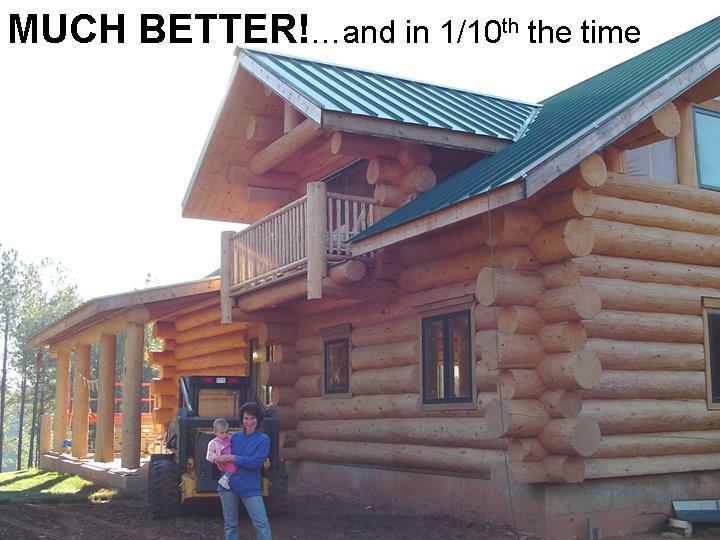 We were able to build their log home shell within a few months and helped them re-erect it on their home site in Georgia. 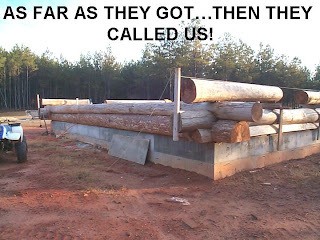 If they had continued on the way they were going they may have had some serious structural issues and been years away from a finished log home. Mike has since become a good friend and champions our company. 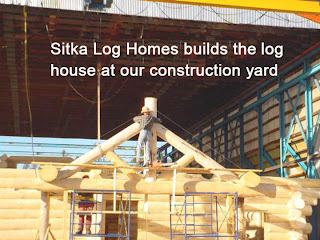 He has volunteered at about four of our set ups since his own log house has been built and he’s even come along to a home show to help promote our company; such is his love of log homes. Many people over the years have built their own log home from scratch from the timber they have on their own property…it is definitely doable. This is, however, a huge undertaking so make sure you really are up to the challenge. We have the right equipment, the skilled labour and a huge inventory of different species of wood to choose from which is already dried and ready for building. If you decide you are not up for the job. We would love to build your log shell for you!